Mix all of the ingredients except the noodles. Bring to a simmer. Meanwhile, bring some water to a boil. Boil the ramen for 3 minutes until tender and strain. Add the noodles into your bowls and ladle broth on top. Top with toppings before serving. 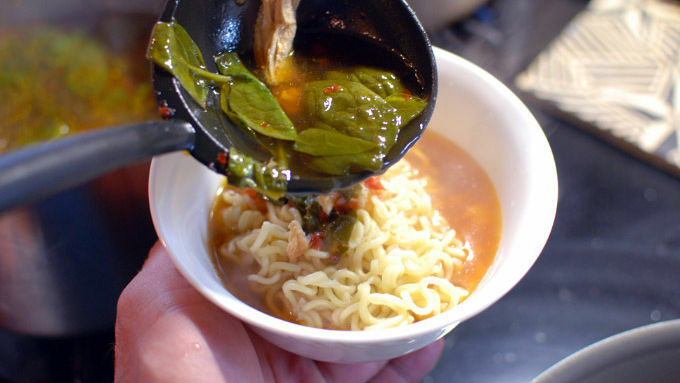 This ramen soup is an easy way to transform simple noodles into a rich and flavorful dish. Ramen can mean a lot of different things these days. We’re all familiar with the ramen noodle packets from our college days, but recently high-end ramen places have been popping up all over the place. Some ramen packages are better than others, but for the most part the sodium levels are completely off the charts. 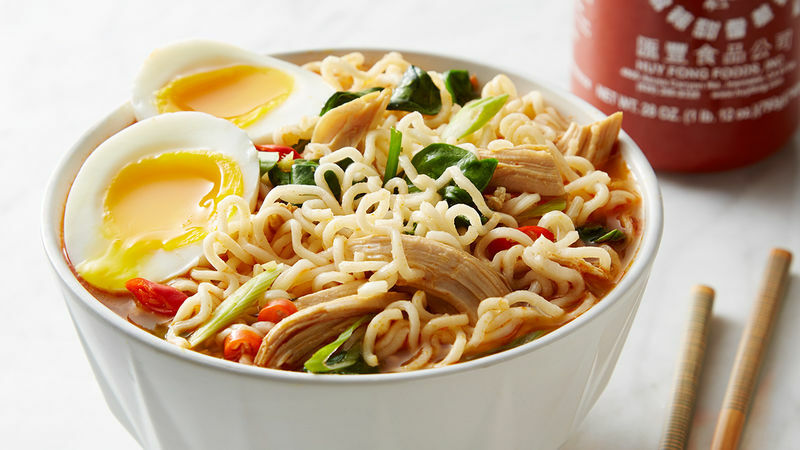 On top of that, a ramen packet will never really satisfy the craving for that really good ramen you get at a noodle bar – and to make that at home is a ton of work. This recipe falls somewhere in between a ramen packet and a bowl of that fancy stuff, but is super easy to make at home. It’s the perfect thing to have if you really want good ramen but don't have the money or time or ability to go out and get it (and you don't want to simmer a bone stock for 24 hours). Try and get good fresh ramen noodles from an Asian market, but dried ramen noodles work too. 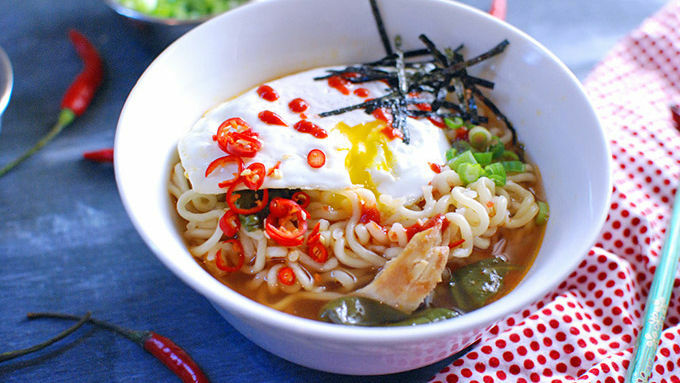 Load it up with all your favorite ramen toppings! 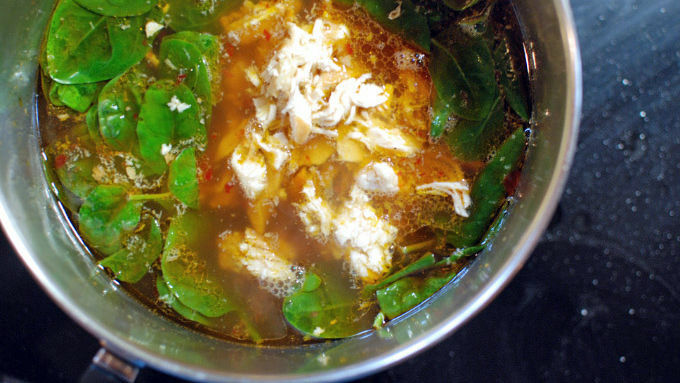 This soup satisfies so many cravings and is perfect for this freezing weather! To ensure there are no issues with food safety, cook eggs until both the yolks and whites are firm and not runny.